An X-Men superhero adventure, Logan follows Wolverine and Professor X in the waning days of the mutants, as they embark on an unlikely rescue of a young girl. It's 2029, and Logan (Hugh Jackman), also known as Wolverine of the X-Men, is one of the few surviving mutants. Aging, losing his self-healing powers and drinking heavily, he works as an El Paso limousine driver and crosses into Mexico to care for the ailing Charles "Professor X" Xavier (Patrick Stewart), now close to dementia and in need of medication to control his telepathic powers. The albino Caliban (Stephen Merchant) is the other mutant survivor and Xavier's primary caregiver. 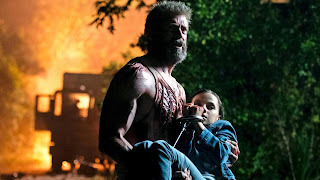 Mexican nurse Gabriela (Elizabeth Rodriguez) insists that Logan take care of eleven year old Laura (Dafne Keen), a girl with Wolverine-like powers. Donald Pierce (Boyd Holbrook), head of security for the evil Transigen corporation, is also pursuing Laura, who was among a group of children developed by Transigen as the next mutant generation. Logan reluctantly helps drive Laura towards the mythical safe haven of Eden in Canada, with Transigen's Dr. Zander Rice (Richard E. Grant) and X-24 (also Jackman), a younger stronger and soulless version of Wolverine, joining the pursuit. A superhero movie with more depth and character drama than usual, Logan aims for a more grounded vibe and generally achieves it. Directed and co-written by James Mangold, the film takes the X-Men story towards a downbeat ending, powers eroding, numbers degraded, and emotions in tatters. For Wolverine one more saviour mission is one more mission too many, and although Xavier is willing and understands the implications of saving Laura, he is too feeble to do anything other than prod Logan into taking action. But for all the downbeat soul searching and tentative father-daughter sub-theme, this is still a superhero movie, which means the villains are ridiculous all-evil caricatures, and the action scenes are over-the-top, frantic, and always knocking on the ridiculous door. At least Logan genuinely embraces the ethos of violent entertainment for adults, and features no shortage of profanity, plus generous doses blood and gore courtesy of the retractable claws deployed by Logan, Laura and X-24. Mangold directs with a disciplined visual style and does not chase comic book cliches. But the editing and pacing are lazy, the film dragging out to 137 minutes, the road trip chase seemingly endless and the climax disintegrating into a messy lots-of-kids versus lots-of-bad-guys uneven showdown. Other than Laura the kids are not characters anyone cares about, but they parachute unannounced and quite late into the middle of the action. And it's an extraordinarily unfortunate sign of creative bankruptcy when the entirety of the climactic dialogue is swiped from a whole other movie. 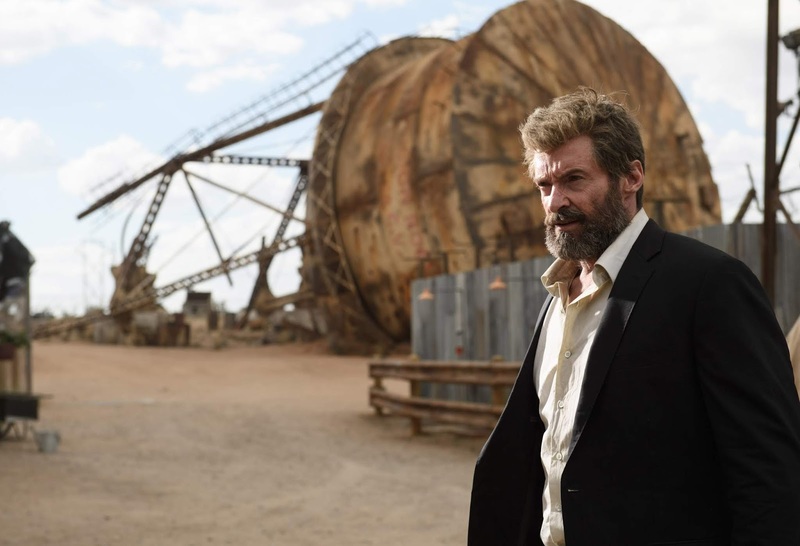 Logan is less vacuous and more mature than most superhero movies, but it's an easy bar to step over.